Mahima Consultancy takes up architectural and engineering services from world class engineering companies to save the cost and time. We understand project / client requirements accurately and then translate to perfect results. We provide engineering solutions in Architectural, Structural, Civil and MEP engineering for clients. 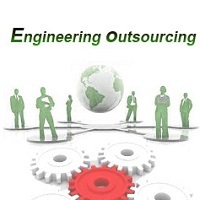 We take up offshore services in engineering services from major clients and deliver the same as per the details and deadlines required by clients. Please get in touch with us to understand your requirements better.